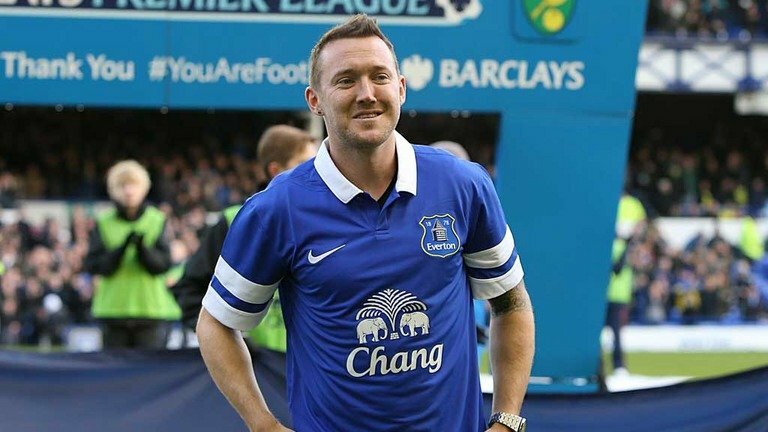 Toffees manager Roberto Martinez has been working wonders off the pitch to secure the signing of Republic of Ireland winger Aiden McGeady from Russian side Spartak Moscow for an undisclosed fee. The signing of the winger was confirmed on Saturday’s game between Everton and Norwich City; being unveiled at half-time in front of packed Goodison Park. Roberto had a keen interest in the winger in the summer window but no approach was made and instead went on to sign young Spanish winger Gerard Deulofeu on a season long loan. This signing has come after the young Spaniard loanee torn a part of his hamstring; causing him to sit on the sidelines for the next month. Martinez is now relieved after the signing of Aiden, unaware that he would sign him in the summer. There was a lot of speculation that McGeady would not move to Goodison until the next summer window as his contract for Spartak Moscow would have expired in that period. But thanks for the excellent transfer budget after the departures of Victor Anichebe and Marouane Fellaini; both joining West Brom and Manchester United respectively for a transfer fee above the price tagged figure and an excellent backing from the board; the signing has been able to be finalised during this window and Martinez is able to bolster his squad for his final push for a Champions League spot in the second half of the season. McGeady has obtained four Scottish Premier League titles, two Scottish League Cups and two Scottish Cups in his six year tenure at Celtic. During his tenure, he has also been voted Scotland’s player of the year in 2008 before making a move to Russian side Spartak Moscow for £9.5 million two years later. During his stint at Spartak he has made 72 appearances and 11 goals in his four year stay at the club. The move has now re-united with Irish team-mates full back Seamus Coleman and midfielders James McCarthy and Darron Gibson. Along with the signing of the 27 year-old winger, Everton also secured a comfortable 2-0 win over strugglers Norwich City, goals came from Gareth Barry and Kevin Mirallas. This has kept them within the race for a Champions League spot a long-term target for the Toffees after having failing to reach fourth spot for 9 seasons. Martinez may wish to look for more attacking options as Croatian striker Nikica Jelavic looks set to move to Steve Bruce’s Hull City after Jelavic has been given permission to hold talks with the Tigers. Martinez has seen this as a perfect opportunity for the Croatian forward to get some games under his belt and gain extra chance of retaining a place in the 2014 World Cup for Croatia. This has come after Belgian loanee Romelu Lukaku has cemented his place in the side after netting 8 goals since his arrival from Chelsea on deadline day of the previous transfer window. This means that Aiden McGeady will be eligible for selection Everton’s game against Pepe Mel’s West Bromwich Albion on Monday 20th January. Everton will be looking to secure another victory and retain hope of getting a fourth place spot.